Another Wednesday another Wishlist! 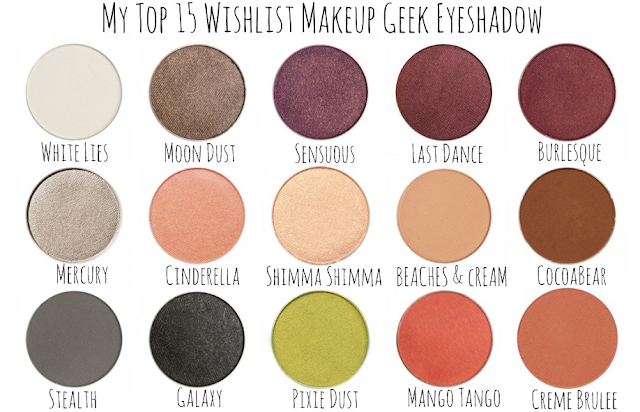 Here I wanna show you some of my wishlist from Makeup Geek Store! As you know the owner Of Makeup Geek is actually a Youtuber. She have her own brand called from her Youtube name it self, Makeup Geek! One of the things I am wanting on is their Makeup Geek Eye shadow. Below are some of my Top 15 Pick color from the store! They are highly pigmented and as well as affordable! Drugstore price for a high end quality! You can book your order through The Fashionette Sisters! Its a Malaysian Base store that will help you to buy overseas brand like this! Makeup Geek Spree is now open! to order and find out more!